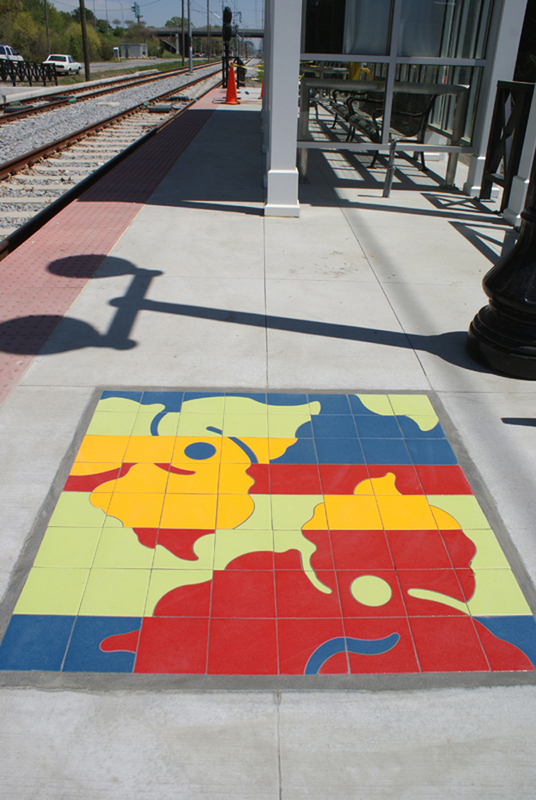 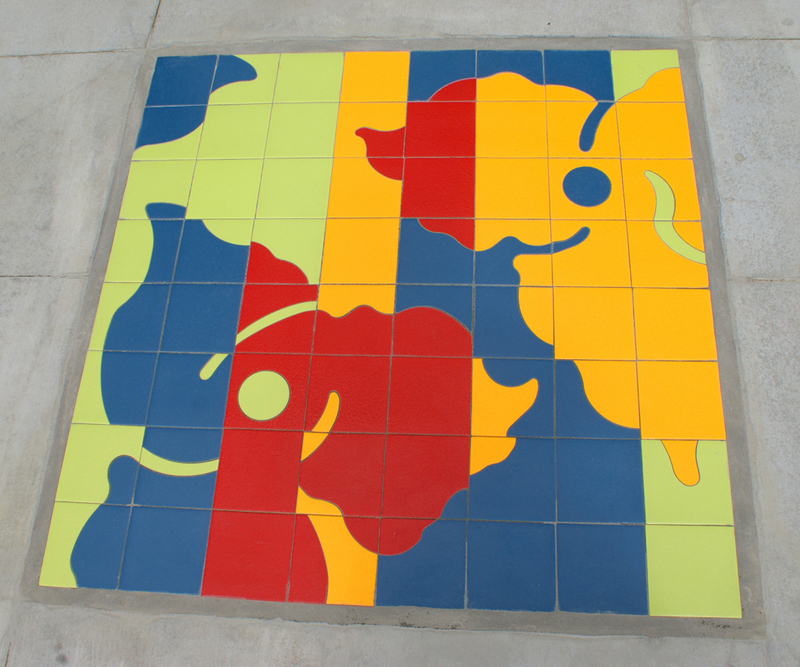 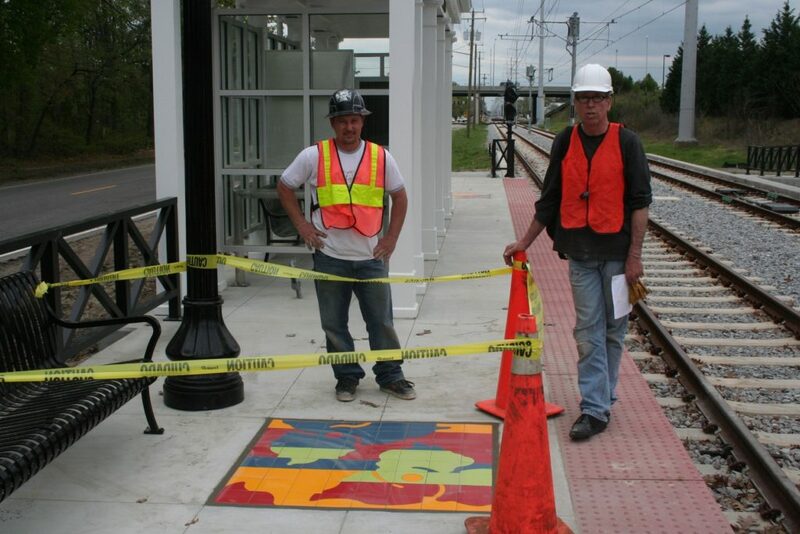 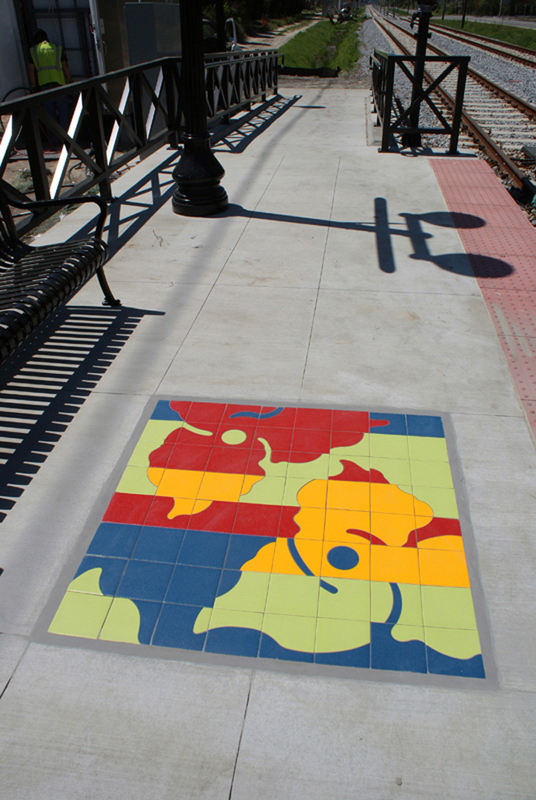 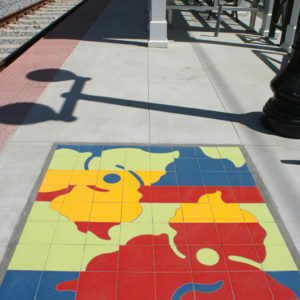 Jack Mackie installed “Trillium Patch,” four slip-resistance water-jet cut ceramic mosaics. 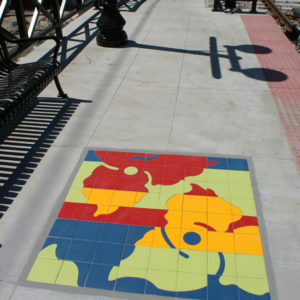 The murals are based on images of trillium flowers growing nearby in the colors of naval signal flags. 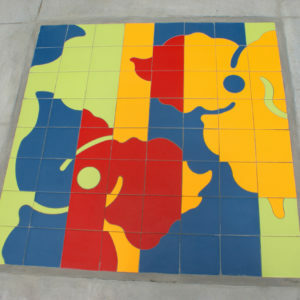 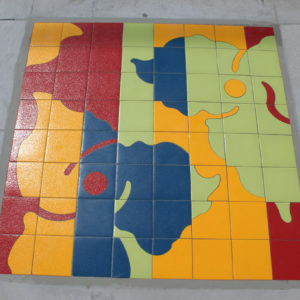 A special ceramic tile with a grit cast into the glaze was water-jet cut. 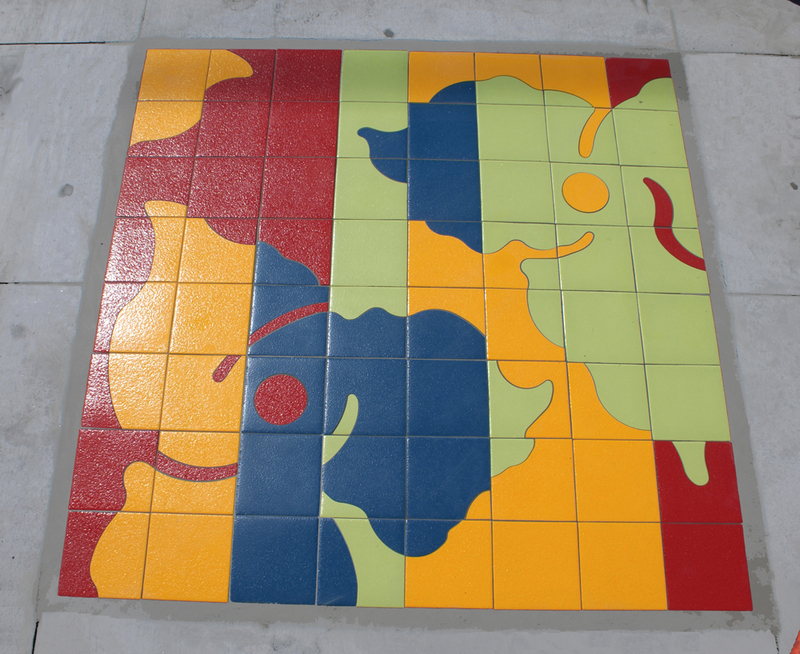 Jack used each piece cut to create the colorful positive/negative design.